Do you have a winning move set out for this quarter? A winning move is your “checkmate,” which positions you for the opportunity to meet or exceed your goals. Winning moves create focus, attention and activity that catapults your business towards success. These moves do not come from Eureka moments - they are developed over time and strategized when looking at the big picture and your Big Hairy Audacious Goal. Determining quarterly and annual winning moves will help you to avoid hitting a growth ceiling and will help you accomplish your goals one step at a time. You cannot grow your business by only cutting costs. However, taking risks and spending money without strategy or direction can hurt your business. 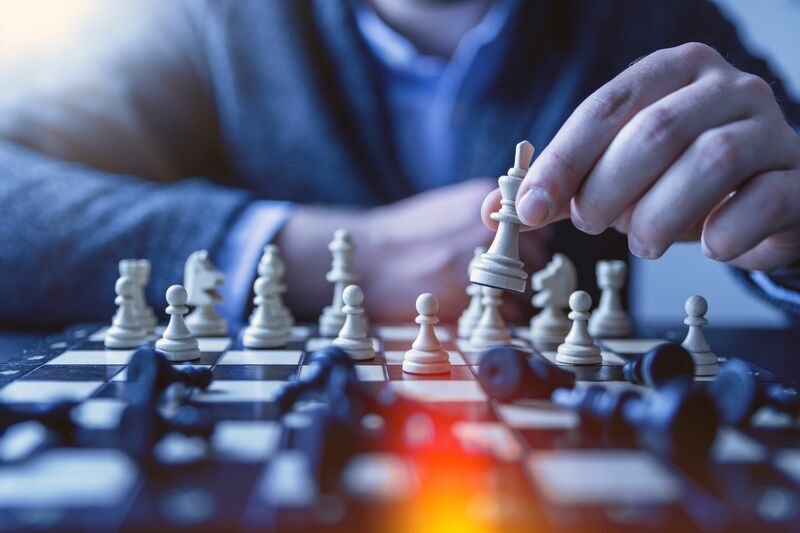 Your winning move will give you guidance on where to spend your time and money this quarter to have the highest impact on revenue growth. Consider the level of risk you are willing to take in order to achieve your goals. An ideal winning move should not take up too many resources to accomplish. What is my competition not willing to do? What do our customers hate but have to put up with? Do I have an asset or diamond in my backyard? What’s the biggest barrier to entry for my prospects and how can I remove it? Are there opportunities to consider through partnership, acquisition or joint venture? What are some big ideas or opportunities we have discussed in the past, but not acted on? Narrow your list down to the most realistic winning moves. Have your team consider each idea and vote on their top three that they’d recommend investing time and energy in considering. Evaluate and rank each of the top 5-8 ideas based on their Revenue Impact and Ease. Revenue Impact – On a scale of 1-10, what is the potential impact this move could have on revenue? A score of 10 would indicate that this move alone could more than double your current revenue. Easy to do – On a scale of 1-10, how easy would it be to get this done? A score of 10 would indicate that it would be very easy to execute because you already have all the expertise and resources necessary, and it’s synergistic with your other activities. 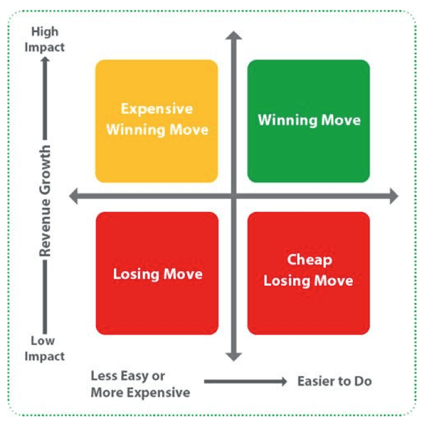 Based on your rankings, choose the top winning moves to integrate into your business strategy. Depending on the scope of your top winning moves, identify a timeline you’d like to achieve it by. What smaller steps need to be taken each month/quarter to achieve your big winning move? What resources are you willing to commit each year (or each couple years) to your big winning move? I am excited to share my 2019 winning move with you and your team! 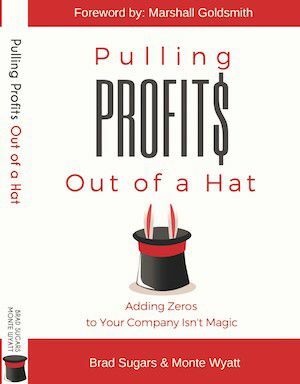 I am launching a book, “Pulling Profits Out of a Hat,” about the concept of AddingZEROS. 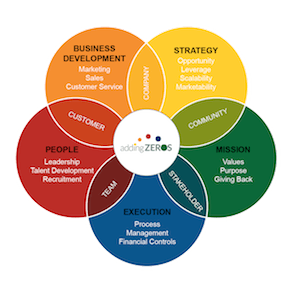 I will share insight on adding zeros in every area of business, including revenue, profit, employee engagement, client acquisition, community involvement and longevity of your business. Presale orders are now being accepted. Click here for more information, or give me a call at 515-222-9193 to learn more.